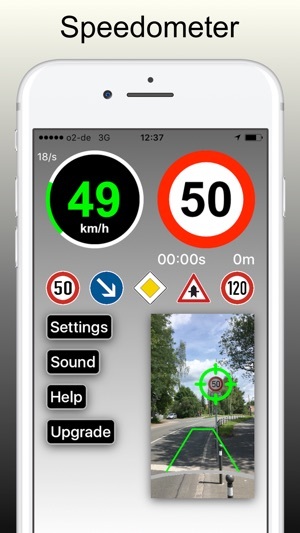 "Speedometer Radar Camera" detects road signs using the camera while driving. It displays your current speed with a speedometer along with the last detected speed limit. Color and sound of the speedometer indicate when you are too fast. 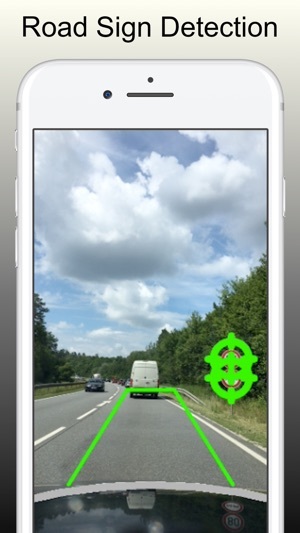 This makes Speed Limit warning Camera a very useful driving app always showing current speed with the speedo and current limit. It recognizes over 40 road signs. Speed Limit warning Camera is not considered to always display the current speed limit at any time and place, instead it is a road sign recognizer for selected road signs. These signs are shown in the App Store. This means that e.g. within a town the default speed limit is not displayed because there are no road signs for the default speed limit. 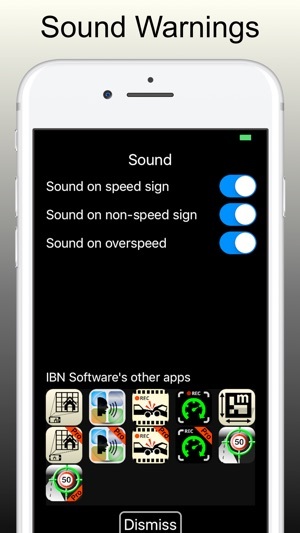 Please bear that in mind when using Speedometer Radar Camera app. Also please read the liability disclaimer below. The speedometer gets it's data from the GPS and is used to determine wether you are above or below the actual limit of the last detected road sign. 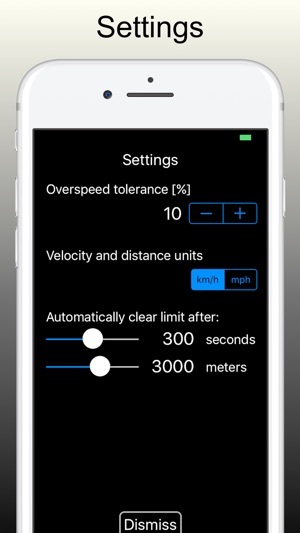 Speedometer Radar Camera requires an iPhone SE, 6 or higher running under iOS 10 that must provide the extension 'Metal Performance Shaders'. There is no support for iPhone 5 or lower and there won't be in the future due to hardware constraints. - At night and in adverse lighting conditions the recognition of road signs might fail due to iPhone camera limitations. 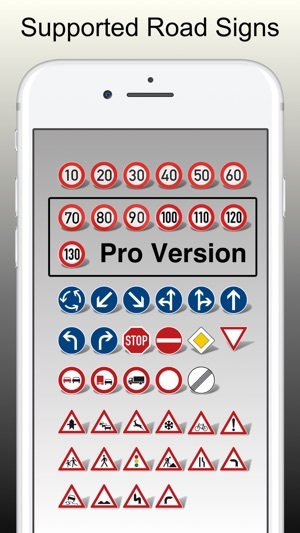 - The app is optimized for German road signs. However in many countries the signs are very similar and therefore the app should work there too. Unfortunately there is yet no support for US speed limits. - There is no support for 'end of limit' signs yet and no support for place/city signs that might also decrease the speed limit according to local traffic road regulations. 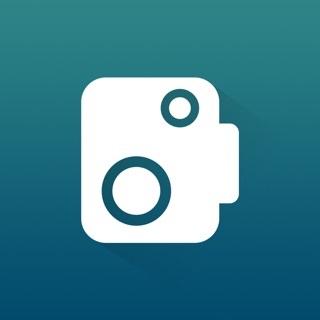 If you like Speed Limit warning Camera please rate the app. If you don't like it please send your suggestions by email to the developer team. If you want to get it ad-free please get the IAP and bear in mind that developing such a complicated app requires knowledge and time which should be rewarded. Please refrain from complaining about the pricing policy. Are you kidding me? The video screen on a cellphone is bigger than this. You know people are driving “nuh?